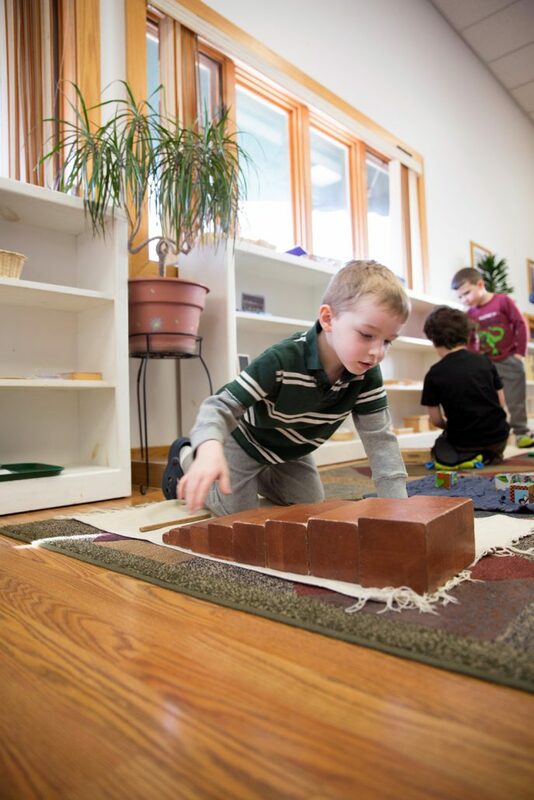 At Casa dei Bambini Montessori Children’s Center we believe that children are blessed with the gift of curiosity and the ability to absorb vast amounts of new information. Our staff is committed to nurturing creativity and confidence and will always strive to provide an enriching curriculum. Our goals are also to facilitate your child’s independence, social skills, self-discipline, and to help them gain a better understanding of the world in which they live. We believe in nurturing the “whole” child and feel that all aspects of his or her development are crucial and of equal importance…the physical, social, emotional, and intellectual growth. It is said that the mind is an empty vessel waiting to be filled. There are a variety of ways in which this vessel obtains its contents. Children learn from doing and they educate themselves by taking in their surroundings. They also look to others to explain the concepts that they do not understand. Once they are given the tools and the knowledge of how to educate themselves, the more information their minds seek to consume and understand.